Maurice Glasman, now Baron Glasman of Stoke Newington and Stamford Hill, intrigued me from our first meetings. These were in 2006. We had both been invited to the Faith and Citizenship Training programme at the St. Ethelburga’s Peace and Reconciliation Centre in the City of London, I as a member of the local Jewish community, along with local Muslim and Christian leaders; Maurice to lead a series of sessions on community organising – identifying and acting together with others to pursue mutual self-interest. Erudite and enthused, Maurice Glasman would roll up cigarettes from the tobacco pouch which would emerge regularly from the side pocket of his corduroy jacket. During the breaks, we would talk about the history of the Jewish community of the East End, as I was then based in Bethnal Green and Maurice was living in Stoke Newington and working in Aldgate. Campaigns that we worked on together with TELCO (The East London Communities Organisation) focused on calling for a cap on exploitative interest rates amongst financial lenders (as laws on usury exist in all three Abrahamic faiths) as well as agitating for a living wage, the minimum income that is required by a worker to meet their basic needs – also a value that is shared across all three faiths. This extracurricular practice blended seamlessly with Maurice’s academic interests at the time, as Director of the Faith and Citizenship Programme at the London Metropolitan University (LMU) and Senior Lecturer in Political Theory. As an acolyte and international authority on Karl Polanyi, the Jewish Hungarian-Canadian political economist who authored The Great Transformation, which documents the evolution of today’s market society and the incumbent dangers of capitalism, Maurice has always propounded a leftfield view on the politics of the day. The perspectives that he advocated then never made front page news – and he didn’t expect they would ever do so: “I have never had any ambition. I have never had a conventional career path. I have always done what I felt was right at the time.” His elevation to the House of Lords in 2010 came as a complete shock. 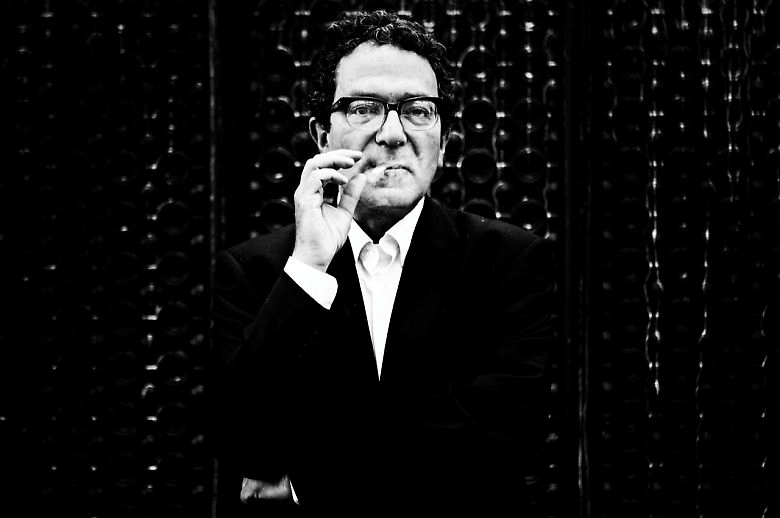 Born in 1961 In Walthamstow, and brought up in Palmers Green, Maurice Glasman won an exhibition to study Modern History at Cambridge, and after several years as a jazz trumpeter, moved to Florence where he wrote his PhD on Polanyi and then became a professor at Johns Hopkins University’s European centre in Bologna. 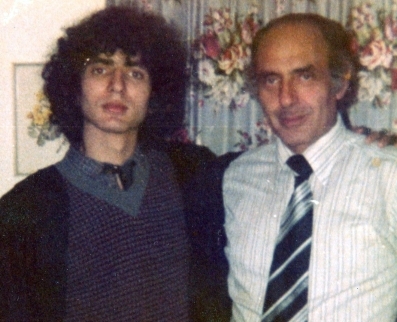 On his father’s death in 1995 he returned to the UK, where he took up teaching at LMU. He became involved in community organising through a friendship with the Chaplain at LMU, William Taylor, reinforced by his involvement in the Labour Party, of which he is a lifelong member. It was through this work that he began to develop his theory on how faith and citizenship can check the free market. It is this concern with association, with power, with resistance to the market, which led him from Polanyi to organising, to Labour strategist. “Labour has become very statist, very policy-based, quite technocratic and elitist in lots of ways. The idea of giving power to people to make their own mistakes, to build their own lives together, is being a bit awkward but resonates”. What he means, is that politicians today are more averse to mass democracy than ever before, including Labour, which was traditional the party of the people. It was the provocation of Phillip Blond’s ‘Red Tory’, a call to the Conservative Party to reclaim its community values, which sparked Maurice into developing a counter-manifesto that called on the Labour Party to rediscover and re-engage with its core values of “reciprocity, mutuality and solidarity”, some of which had been hijacked by the Conservative Party – most notably in its conception of the Big Society. It was this manifesto that brought Maurice’s thinking to the attention of the newly elected Labour leader, Ed Miliband. Miliband saw this political philosophy, which Maurice coined as ‘Blue Labour’, as no less than a foundation upon which to rebuild the Labour Party. It was for this reason that he was elevated to the House of Lords. Maurice has left his fellow Lords in no doubt about his Jewishness, a trait that is unusual amongst the Jewish peers. Yet one aspect that Maurice did not publicise until he talked at the South London Day Limmud this May is the inspiration he has found in Jewish thinking. He cites the concept of Samson Raphael Hirsch, a 19th century German rabbi, of Torah im derech ertz, which emphasises the importance of worldly involvement to realise the values of Torah. Out of this evolves the foundational campaigns of community organisers, as well as Blue Labour. It is this conviction that has driven Maurice to work to engage Jewish institutions in community organising in the UK, to play a more active role in working alongside Christians and Muslims in developing broad-based campaigns for a living wage and affordable housing. This love of self-organised institutions, as vehicles for association, has been fostered since his childhood. It is a renewal of such institutions that he wants to see in the Jewish community today. This, he believes, will renew the Jewish tradition of genuine civic engagement. Maurice leads by example, attending regularly different minyanim, including the new Stoke Newington Masorti Synagogue that he helped establish, as well as being actively involved locally, particularly in Jewish education – as Vice-Chair of the Governors of Simon Marks Jewish Primary School, which all four of his children have attended. What then is he teaching his children? It was as much a surprise to receive the call informing him of his nomination to the Lords, as it was when an interview that he gave a few months later to the Fabian Society magazine became front page national news. In the interview, Maurice noted that the Labour Party should seek to engage with disaffected communities such as those that were voting for the English Defence League (EDL). “My view is the latter, in that we have to create divisions within the EDL.” By creating divisions between the leadership and membership of EDL, the hope is that it will be possible to bring back into the traditional Labour fold the predominantly working classes that have become disillusioned and excluded from mainstream politics leading them to the radical fringe. It is this call for engagement with the radical fringe, which has led Maurice into trouble not only with the Labour leadership, but also the Jewish establishment too. In the same manner, the Jewish Chronicle has criticised him and London Citizens for engaging with Muslim communities that also have a radical fringe. But ultimately, it is this building of relationships, bridge building, which is at the heart of his politics. “I love my country and I want to build and broker a politics of the common good, which can bring together immigrants and locals, working class and middle class, north and south, faith and secular, a common good which upholds the dignity of the human being and the power of association against the overwhelmingly powerful markets. I love that, and that is my politics. And what is amazing is that I am in a position to fashion such a thing. What other advice does he give to them? There is still much work ahead for Baron Glasman in doing his new job properly, as he advises the Labour Party on its strategy for victory in the next general election, likely in 2015, “which is not a straightforward task”. And if Labour is to win, then it will need to secure the support of the Jewish community the ‘bellweather’ for the country. As we part ways, Maurice comments finally: “I never expected to be in this position. I never planned to be in this position. But I trust the story.” How that story will unfold, and how he will be a blessing to the country he loves, only time will tell. First published: Jewish Renaissance Magazine, October 2012 Issue. Kehillas Ya’akov, or The Congregation of Jacob, is no ordinary synagogue. From the outside it looks unremarkable, sandwiched as it is in the middle of a parade of shops on the Commercial Road in Stepney Green. But step inside, and you enter a fusion of two worlds: one disappeared, and the other said to be fast disappearing. It is where East European Jewry meets the Jewish East End of London. And it is where hope springs eternal. The East End is the cradle of Britain’s Jewish Community. At the turn of the century, there was said to be as many Jews living in this one square mile of London than there are in the entire country today – over 250,000 souls. Sam Melmick has recorded the existence of over 150 synagogues in the area, not beginning to count the multitude of shtiebls that will have served the Jewish community. But today, there remain only four synagogues still in use. Kehillas Ya’akov is one, with a regular minyan meeting each Shabbos eve and morn for over one hundred years. Kehillas Ya’akov was founded by Morris Davis Koenigsberg and Abraham Schwalbe in 1903, probably beginning life in the front room of Mr Koenigsberg’s family house on Commercial Road (Mr Schwalbe lived a few doors along). The Ashkenazi Congregation largely consisted of first generation immigrants from Poland and Lithuania, orthodox Jews from small shtetls such as Stetziver, Kalisz and Vilkaviskis. The shul originally was a constituent member of the Federation of Synagogues (though it is independent today), an organisation established by philanthropist Samuel Montague MP in 1887 to improve the conditions for worship of the numerous small and often ill-ventilated chevras (prayer groups) in the East End. It advanced loans for many synagogue conversions, but often on condition that chevras merged into larger congregations. Kehillas Ya’akov thus incorporates Chevra Yisroel (Society of Israel) and Bikur Cholim (Visitors of the Sick). What we have also cobbled together is that our present location at 351 – 353 Commercial Road was until the War a bootmaker’s premises, being redesigned by Lewis Solomon and Son, honorary architects to the Federation of Synagogues, and reconsecrated in 1921. Interestingly Kehillas Ya’akov was the first Mizrachi Synagogue in Britain and to this day remains Modern Orthodox. Most members still live locally though the character of the Congregation is more cosmopolitan than it once was. The service is still very much Ashkenazic in style, but the Sephardic influence can be felt in the soft pronunciation of the Hebrew. The synagogue is independent, owned, managed and maintained by members of the community. Dr Sharman Kadish, Project Director of the Survey of the Jewish Built Heritage, has commented that at Kehillas Ya’akov “the congregation created for themselves an inner space strongly redolent of the world of East European Jewry which they had left behind.” Today’s Congregation amplifies this sentiment, by reminding guests also of the world of East End Jewry that the British community is leaving behind. But in this latter instance, the abandonment has been chosen not forced. On entering the synagogue, one is immediately struck by the otherworldliness of the space. Maybe this is just the sentimentality of the author, but one senses the ghosts of members past peering over the balcony of the upstairs gallery as heads are bowed for the Amidah. The gallery that encircles three sides of the shul is accessed by a separate entrance to the main portico and is rarely used now by the ladies of the Congregation, except occasionally on the major Chagim (Rosh Hashanah and Yom Kippur). Instead they sit behind the men at the back of the shul, behind a Mechitzah (a curtain partition), praying and talking quietly amongst themselves when the Shammes (warden) allows. In the summer, light floods the Congregation through the glass roof, a feature imported from Eastern Europe along with the wall painting above the ark. This was crafted by former member, the late Dr Phillip Steinberg, and features traditional Jewish symbols such as the Menorah and Arba Minim (four fruits of Succot). It adds to the folk-like feel of the space, as do the blue walls (to ward off the evil eye) and simple decor. At the time of writing two thousand Jewish souls live on in the East End. Though the demographic is elderly that is reason enough for shuls to remain open in the area, more so now as young Jews begin returning to their roots. At last, thankfully, the community at large is recognising the importance of preserving this fast disappearing heritage. With the will, will come the support, to ensure that the remaining East End synagogues – Fieldgate Street, Nelson Street, Sandy’s Row and Kehillas Ya’akov – will not only survive, but will prosper for this generation and many more to follow. And as Herzl famously once said: Im tirtzu, ein zo agadah – If you will it, it’s no dream. I need not remind you that through no fault of our own we lost for posterity much of our East European heritage. Let us not stand idly by and allow the loss of our East End heritage too. Services are held every Friday night (5 minutes before sundown), and Saturday morning (at 910am). For more information, then click here. This is an virtual guided walk, narrated by East End expert and registered Corporation of London walking guide, Clive Bettington. It was recorded as part of the Tower Hamlets Holocaust Memorial Day (HMD) programme, funded by the London Borough of Tower Hamlets and organised by the Jewish East End Celebration Society (JEECS) in conjunction with the Congregation of Jacob Synagogue. Safe walking, and please do let us have your feedback as to how you get on, as we plan to expand the walk in future! Rachel Spanglett (1914 – 2008), known to many as Rae, was a remarkable woman; one that I feel blessed to have known. Aged 94, she had lived alone for over twenty years since the death of her partner, Nick. It was a loss on which I was always aware that she dwelled – not only each and every day, but every waking and sleeping hour. Rae had been housebound for almost a decade. She was visited every other week by her daughter, Shirley, and son-in-law, Manny – who lived outside of London, but made the trip into town to see her, and called each day to check up on her. Several years back, I volunteered through Jewish Care to visit her too; living as I was at the time, just round the corner from her in Bethnal Green. Despite being confined at home, Rae was always able to see beyond the four walls that kept her physically isolated. She constantly kept abreast of news, through TV and the telephone; her lines to the world, friends and family outside. Though I knew her only for a few years, we both felt that we had known each other for ages longer. Over that time, for which I am thankful, she sadly only ever left her one bedroom flat when she was taken to hospital. To see her in the Royal London, where inevitably she would be admitted, I would claim to the Ward Sister that I was, alongside Clive, her other grandson. In such cases, her admission was often because of a fall – as she tried to traverse her flat by clinging on to whatever she could grasp – from walls to radiators. She stubbornly refused to use her zimmer frame, and though we insisted, she always knew best. Though we joked about it once she had recovered from her bruises, I truly felt a duty of care that was familial, even filial. It was in her nature though, to never rely too heavily on support – she was very much of independent means. I could not say for certain whether she or I enjoyed my visits more. It is a tonic that I would recommend to anyone, an opportunity to spend time with an older person and to garner a whole other perspective – one informed by wisdom, accrued through age and experience. At times, my visits would include a literal tonic too, always on offer, sometimes with gin when the occasion merited, or when we just felt in the mood. Rae grew up on the Boundary Estate in Bethnal Green. She took proud in being able to name each of the buildings around the Arnold Circus bandstand, when she reminisced about her time playing as a little girl. But as a child growing up between the wars, her life was not easy. Her mother was a traditional Jewish housewife, and her father and brother, carpenters. The wardrobe in her bedroom, the sideboard in her lounge, which looked brand new today – were fifty years old or more – made by their hand. It demonstrated the love, care and attention that she gave to everyone and everything. She recalled with pride her own jobs, working during the war in a munitions factory in Scotland, and then after the war, in a number of manual occupations around London. She did not shy from what was considered men’s work. She was always willing to do what was necessary, whether to help herself or to help others, whether family or friends. When Rae met Nick, she met her soulmate. She would always remind me, that regardless of your age, you never know when lightning or love might strike. As a man still single in his thirties, her optimism game me the faith that she kept too throughout her years – through both good times, and hard times. Despite being a decade or two his senior – she readily admitted that she always had an eye for younger men – they bought together the council flat in Bloomfield House in which Rae had been living. She inherited through him a Greek-Cypriot family, and a love for the Mediterranean. She shared his passion for food, that he developed as the manager of a dining club in the City, and that she learnt from her mother. She loved the fact that he liked more the fish that she fried, than that on offer at his own restaurant. The thought of it, would bring a smile to her face, but also a tear to her eye. 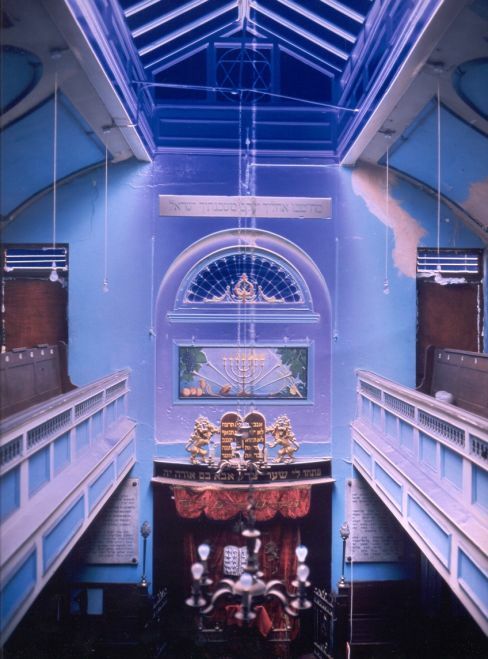 Every Shabbos – the Jewish Sabbath on either Friday night or Saturday – I would climb the three flights of stairs at Bloomfield House on Old Montague Street, off Brick Lane, where Rae continued to live. Many of her neighbours were now Bangladeshi, the predominant community living in the area today. However, she had moved in there when most were Jewish and white working class. Though those around her changed, she remained forever the same – open, respectful and tolerant of all. Her closest friends were those that lived, or were living, around her – regardless of age, colour or creed. Her warmth was shared with all those that, like I, had the good fortune to meet her. Her smile was enough to brighten your day, however rotten it had been. The best medicine, always on offer, was a cup of tea and a listening ear. Whatever the problem, she would always be happy to give generously of her time and open up her heart, and her forever plentiful tin of jaffa cakes. When I left to New York last summer, I knew that there was a chance that it might be the last time I would see her. I returned though to London in October, and again in December, and was lucky each time to visit her again. On my return to America, each time I would phone her, she would always first ask where I was calling from. I wished that I could have said London – that I would be around in five minutes – but each time, I had to say New York. Though I could not be there with her in person this last year, I was always there with her in spirit. I still am today. Each week I would say a meshiberach – a get well prayer – in synagogue to Rachel bas Chaya Basha – Rachel, daughter of Little Bird – remembering that her mother’s name had been changed as a child, to ward off illness that had taken prematurely the life of six of her siblings. She had been the only one that survived to grow to adulthood. Evidently what Rae shared with her mother was a fierce will to survive. That she herself lived till 94 was remarkable. Fifty years earlier, she nearly died from a massive haemorrhage from earlier surgery. At the time, she was carrying heavy bags of vegetables to her brother’s – a task that she completed, before collapsing. To me, it summed up her spirit; fighting, to the end. I wish I could speak to her one last time, to tell her how much I will miss her. Though, there are some things that will always be left unsaid; some that never need to be said. My thoughts, and prayers, will forever be with her; as they are with all her family, and friends, that she leaves. Rae is survived by her daughter, son-in-law, two grandchildren, and a great-grandchild – all of which I know she was proud – and countless friends, amongst which to count myself I am immensely proud too. Rachel Spanglett died at 5:10pm (BST) on Tuesday 27th May 2008. I post this obituary as a virtual memorial to Rae. There previously were no results returned when searching online for Rachel Spanglett. Today, there is at least one.